Eri silk is the only silk that allows the worms to turn into butterflies and leave the cocoon before harvesting the silk. It is therefore also called ‘Ahimsa’ or ‘non-violent’ silk. Women on Wings’ business partner Fabric Plus’ flagship product is Eri. Fabric Plus is an important domestic Eri and Muga silk supplier and also exports the silks to high end global brands. Fabric Plus’ founder and CEO, Dilip Barooah, hails from Margherita, Assam, where it is all about coal mines and tea plantations. As a child, he never thought about textiles. Instead, growing up with five siblings and seeing how that took a toll on his father to provide for the family, Dilip’s primary goal was to become self-dependent. After trying a number of jobs, Dilip chanced upon the Assam Textile Institute in Ambari. The lure of hostel facilities and scholarships was enough to get him interested, but what helped him get really hooked were, in fact, the textiles. “The dots connected”, Dilip says reminiscing about the past. 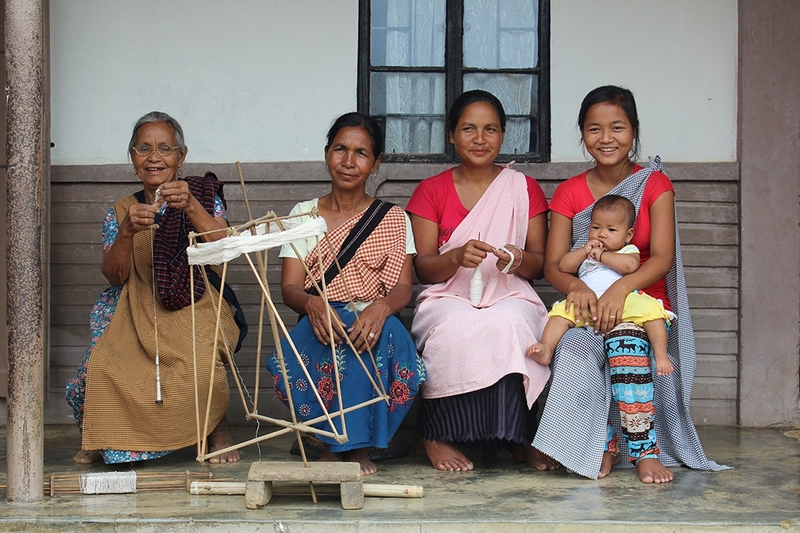 Thanks to introducing technology to the cycle, weavers are now getting more value for the Eri. Today Fabric Plus is able to weave much more meters of fabric from the same quantity of silk. It now uses more raw materials and affects more lives. The weavers are getting better value, they are more motivated, and production is going up which means that the whole value chain is becoming richer.